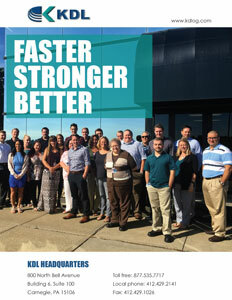 Business View Magazine profiles Keystone Dedicated Logistics (KDL), located in Carnegie, Pennsylvania. In the United States, products are moved from point to point by a number of different modes of transport; air, rail, water, and truck. Over the road transport by truck is an ever growing part of our national economy and vital to today’s supply chains. Truck freight delivers nearly 70 percent of all transported materials, whether it be raw or finished goods. The US has over 15 million trucks of which 2 million are tractor-trailers and the industry employs 3.5 million truck drivers and another 8.9 million people in trucking-related jobs. With $255 billion in annual revenue, carrying $670 billion worth of manufactured and retail goods across the North American continent you can easily see why it is important to nearly everyone. With such a complex web of manpower, supply chains, costs, and schedules to consider, shippers must rely on companies such as Keystone Dedicated Logistics (KDL) for the management of their logistics. KDL is a comprehensive, transportation solutions provider that offers its clients services that optimize logistics efficiencies while saving them money. KDL helps clients to get their goods and raw materials from point A to point B in the most cost-efficient and practical manner possible, inclusive of transportation, warehousing, and distribution. According to Tsai, KDL’s mission from the past to now is still the same – consulting, managing logistics, and supplying its customers with the best shipping solutions available although the landscape of the industry has changed profoundly with the coming of the computer age. Tsai says KDL is constantly updating its ways of doing business – developing new business models that include à la carte services, expanding sales channels, and ramping up its marketing efforts. “I think KDL is very much a secret in the logistics industry,” Tsai admits. “In five years, we want to be an organization that is known for our technology and product lines that are in the forefront of our business powered by a collective group of employees that views every matter as customer first. In the end, we want to be able to deliver value and make our customers’ jobs simpler, effective, and predictable, while achieving both hard and soft dollar savings” he adds. And that’s a good hard sell for a company that is transforming itself to be a leader in the logistics industry. 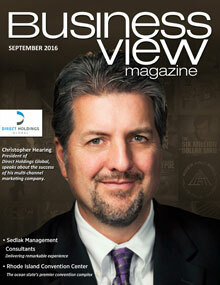 Check out this handpicked feature on SOCMA – Society of Chemical Manufacturers & Affiliates.